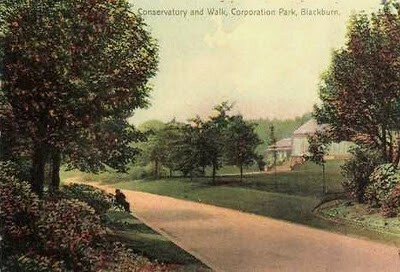 Another compare & contrast exercise;-) The top image is an Edwarian postcard, depicting the conservatory and 'walk' that leads up to the West Park Lodge / Gate. Lovely autumnal colours in the trees. 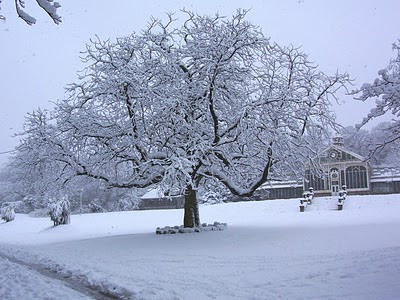 The lower photo, is one I took in the snows of January 2010, from a similar angle. Hi Blackburn Lad, John Eddleston ...was he one of the Eddleston brothers ...the garage owners from down Ewood? I'm sorry but I haven't a clue what he did for a living.